There is growing need for research groups to adopt a Laboratory Information Management System (LIMS). A reliable, flexible and easy-to-use LIMS is an increasingly essential research tool that enables investigators to preserve data, results and experimental protocols; share findings with collaborators in other (sometimes far-flung) locations; and to document milestones in research and discovery that can have critical implications for establishing patents and priority of discovery. Even if groups already utilize an incumbent management system, there are many good reasons to consider selecting a new commercial LIMS. 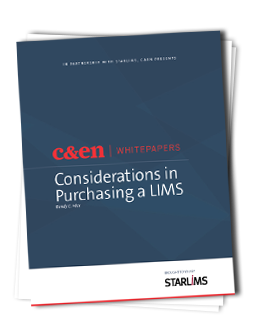 This white paper from StarLIMS lays out several important criteria that should be taken into account when evaluating a new LIMS for your group or laboratory.